Enjoy a refreshing drink with this Savannah bubble glass from Artland. When this cup was originally designed, the craftsmen specifically left bubbles in the glass as it set. 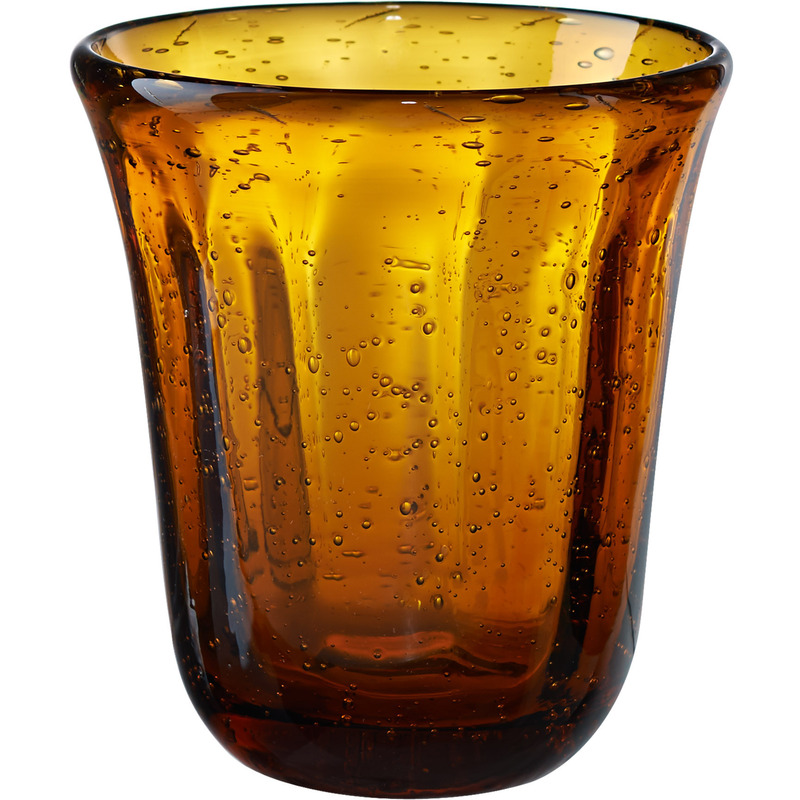 This gave the cup a distinct bubbly pattern in the amber glass, but with the shape of a double old fashion glass. Shaped perfectly for holding mixed drinks or just water, this ridged glass is perfect for any occasion. Best of all, it is dishwasher safe to make clean up a breeze.